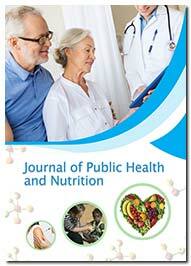 Journal of Public Health and Nutrition is an international peer-reviewed, open access journal that prioritizes publication of articles in the field of Public Health Research and Nutritional Science. The journal has special focus upon various research outputs and social determinant factors and encourages publishing multidisciplinary articles. The journal publishes current developments and scientific information as Research articles, Review articles, Case reports, Short communications, Mini Reviews, Commentaries, Image articles, Special issues, Thesis, etc. and provide online access without any restrictions or subscriptions to the researchers worldwide. Journal of Public Health and Nutrition is mainly intended upon the public health and nutritional health practitioners providing health care services with an inclination towards nutrition, disease and general science. The journal is aimed to promote the traditional aspects of Health and hygiene, Epidemiological factors influencing public health, Dietary patterns, Nutrient density, Disease prevention, Public health governance, Ethics and laws along with the modern developments in relation to health care and healthier lifestyle by elevating the importance of advanced treatments and mechanisms. The journal processes articles through Editorial Manager site for quality publication. Authors can submit their manuscript and track its progress through this system. Reviewers can download the manuscript and submit their opinions to the editor. In order to process articles, at least two reviewer’s approval is mandatory followed by editor approval. Childhood obesity prevention in Hong Kong: A life-course approach.